Last Minute Valentine’s Day Gift Suggestions! You are here: Home / Featured Products of the Week / Last Minute Valentine’s Day Gift Suggestions! Here are some of my favorites for the holiday! Looking for something a little healthier than Candy? Pure Organic has you covered! If you are looking for healthier candy, organic is a great starting point. 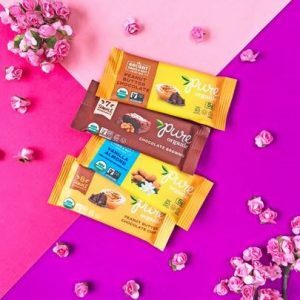 Pure Organic’s Layered Fruit Bars not only taste similar to your regular favorites, but they also have no chemicals and are made with no added cane syrups, artificial flavors or colors. Plus, they are made in a peanut-free facility, so parents don’t need to worry about their kids with nut allergies! 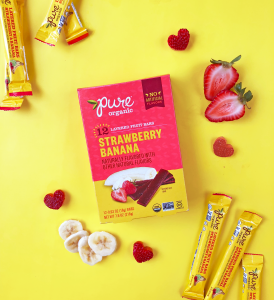 Pure Organic’s Layered Fruit bars are sold nationally at Walmart and on Amazon, Thrive Market and Pure Organic.com. These were a hit with my family and I also love the Pure Organic Bars especially the Chocolate Brownie! Looking for a great gift for a Coffee lover? This next one is sure to be a hit! I love the pink color! I just love how well these work and they don’t take up much counter space! Spread the love this Valentine’s (or Galentine’s!) Day with Melitta Coffee. 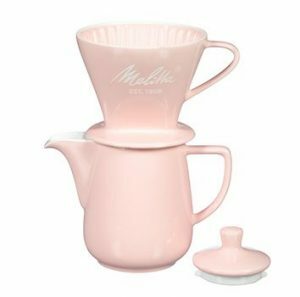 For the coffee lover in your life, Melitta has a number of chic, affordable (all under $40) items that make for a thoughtful, unique Valentine’s gift (and a great cup of coffee)! For your self-proclaimed entertainer bestie: The ultimate brunch accessory or nightcap appliance, the new Heritage Series Pour-Over Coffeemaker Sets completes any host’s offerings. The vintage inspired sets include a 20oz carafe and Pour-Over cone, making multiple cups at a time and available in a variety of pastel colors. $39.99. Who loves popcorn? I know I do! NEW Strawberries & Cream Recipe, Valentine’s Day Mini Cones, and More! The Strawberries & Cream is delicious! I received samples and this just may be my new favorite popcorn! I know you will love it! Roses are red, violets are blue, Popcornopolis has the perfect treats for your sweetheart AND for you! 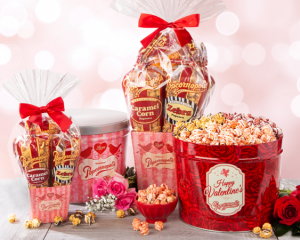 Let Cupid touch your tastebuds with an arrow this Valentine’s Day with a gift from Popcornopolis, the family-owned and operated gourmet popcorn company. Discover sweet and savory Valentine’s Day gift ideas for sweetheart celebrations, personal indulgence, and Valentine’s Day parties alike. Available online at popcornopolis.com and in select Walmart, Sam’s Club, Costco, and local neighborhood stores. Popcornopolis offers an array of romantic-themed treats that are sure to leave hearts ‘poppin’ and tastebuds smitten this February 14th. I just love the New Strawberries & Cream flavor! They also use real strawberries! That is pretty impressive to me! 10-pack of Valentine’s Mini Cones offered at select Sam’s Club locations for $9.98. Case of 24 Valentine’s Mini Cones and 3.5 gallon rose tin offered online at Costco.com for $34.99 and $49.99. Valentine’s themed gift baskets, mini gift baskets, Valentine’s rose tins, and Strawberries & Cream popcorn available online atwww.popcornopolis.com. “Made the way it oughta be”, Popcornopolis offers over 20 mouthwatering recipes and is made from American-grown, non-GMO corn. Crafted with big flavor, the company’s gourmet popcorns are also certified gluten-free with no high fructose corn syrup, or added preservatives, and only the finest ingredients and cooking practices. For more information, a full list of Popcornopolis recipes, and to place an order for Valentine’s Day today visit www.popcornopolis.com. Popcornopolis was founded by Wally and Kathy Arnold. In 2002, the Arnolds opened their first Popcornopolis retail store at Universal City Walk in Los Angeles, California. Today, the family-owned company’s iconic cone-shaped and bagged popcorn packages can be found in grocery and club stores, professional sports stadiums, movie theatres and at www.popcornopolis.com. Planning to spend Valentine’s Day with your girlfriends or maybe at home with the family? Meet Edoughble! Who loves cookie dough? I do!! 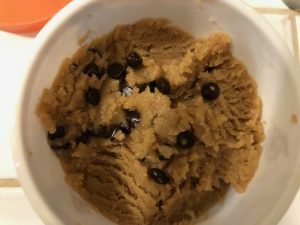 One of my favorite memories as a girl was baking chocolate chip cookies and eating the cookie dough so when I heard about Edoughble the edible cookie dough I was really excited to try it! Handcrafted by founder, mother, and trained pastry chef Rana Lustyan, Edoughble uses no egg, no chemical leaveners, and heat-treated flour to ensure their product is 100% safe. Using her culinary education from Le Cordon Bleu, Rana has created a huge range of flavors (19 in total!) that brings anyone and everyone back to those carefree times in the kitchen as a kid. With options like Pumpkin Spice Cobbler, Cold Brew Espresso Chip, Birthday Bash, and classic like their Chocolate Chip Off The Ol’ Block: how could you go wrong? I just love these flavors and they were a hit with my family too! My favorite is Dough Schmo because it tastes just like the chocolate chip cookie dough! It doesn’t come with the chocolate chips added in but what is really cool is that it comes with goodies to mix in such as mini chocolate chips, sprinkles, mini marshmallows and more! 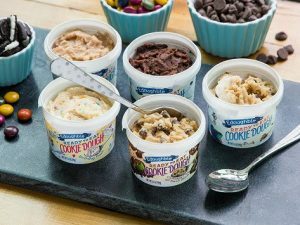 I am so impressed with these delicious cookie dough flavors! Since the company’s inception in 2014, Edoughble has been featured in national media and press, including The Today Show, Buzzfeed, and US Weekly. To find their complete list of flavors, including gluten-free, paleo, and vegan options, visit their website here. This next one is a little different but will make an unique Valentine’s Day Gift! 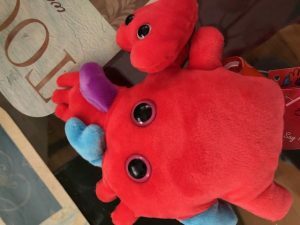 GIANTmicrobes! 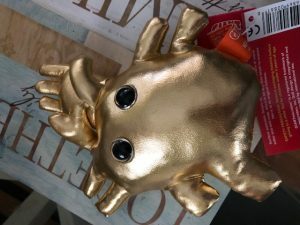 Give someone special a realistic looking plush heart! or maybe a heart of gold! These sure are unique! Who wouldn’t want a heart of gold? 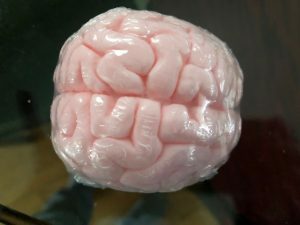 And they have other cool gift ideas too like Soap that looks like a brain! Older kids and Teens may like this one! Self Disclosure: I received free samples to facilitate this holiday feature. Images were also provided for some of the products.